– In conversation with renowned ballet instructor and founder of Ballare School of Performing Arts, Ms. Hala Al Zayani. Great dancers are not great because of their technique but they are great because of their passion, said the renowned Modern American Dancer and choreographer, Martha Graham. This stands true for Ms. Hala Al Zayani, founder and ballet instructor of Ballare School of Performing Arts. Having recognized her passion for this angelic dance form at a very young age, she hasn’t stopped since and is now the highest qualified dance teacher in the whole of the Middle East. With the most awaited annual event of Ballare scheduled for the month of May, and her girls sharpening their skills for perfecting their roles in the master play, ‘Cirque’, Hala was busier than usual at her dance studio located in Saar. We were lucky to get to chat with her, where she shared her passion for ballet and the upcoming event. “I started taking ballet lessons at the age of 3 from the Bahrain Ballet Centre. I remember my first teacher, Ms Anne, who was my inspiration. The dance form came quite naturally to me and soon it became my passion. I continued dancing ballet during my college years and joined the Millennium School of Performing Arts in London,” Hala reminisces. She wanted to return to Bahrain and give back to the community which she belonged to. This prompted her to open a ballet studio with professional teachers and high standards, naming it Ballare, which means ‘to dance’ in Latin. “The opening of Ballare was definitely a dream come true for me,” she says. Ballare received a fantastic response from the public and started off with a bang, and has continued to be quite popular since the last 3 years. “The children here love to dance and perform, as the art form is such a fantastic way for the kids to express themselves. The studio also gives kids the opportunity to mingle with other children of different nationalities and cultures. At the studio, we are kind of like a small community, and we are glad that we are taking performing arts to the next level for Bahrain,” she says. Hala informs us that the syllabus they follow is accredited by the International Dance Teachers Association (IDTA). She is happy to be the first Bahraini to gain an Associate Ballet Diploma as well as Physiology and Anatomy Diploma from the association. “Personally I have always been interested in leading a healthy lifestyle which comes only when one is involved in some sort of a fitness regime or set discipline. At Ballare, we didn’t want the physical activity to stop with just the children. We wanted to create a strong healthy environment here where kids as well as adults could find a place to express themselves,” says Hala. Going by the belief that living a healthy lifestyle is certainly rewarding, Ballare also offers a wide range of adult fitness classes including, Yoga, Zumba, Pilates and more. Students will also be able to find creative expression through piano lessons, musical theatre and other versatile dance forms including tap dance and salsa which are in the pipe line. “We have the studio space scheduled to have moms coming in the mornings and children in the evenings. This way mothers and daughters get the opportunity to be a part of the same healthy lifestyle team here at Ballare,” says Hala. Outstanding performers at Ballare are gaining admission into renowned institutions in the UK and bagging prestigious international awards. “It is our initiative to spread the interest in finer aspects of socio-cultural spirit in the society. 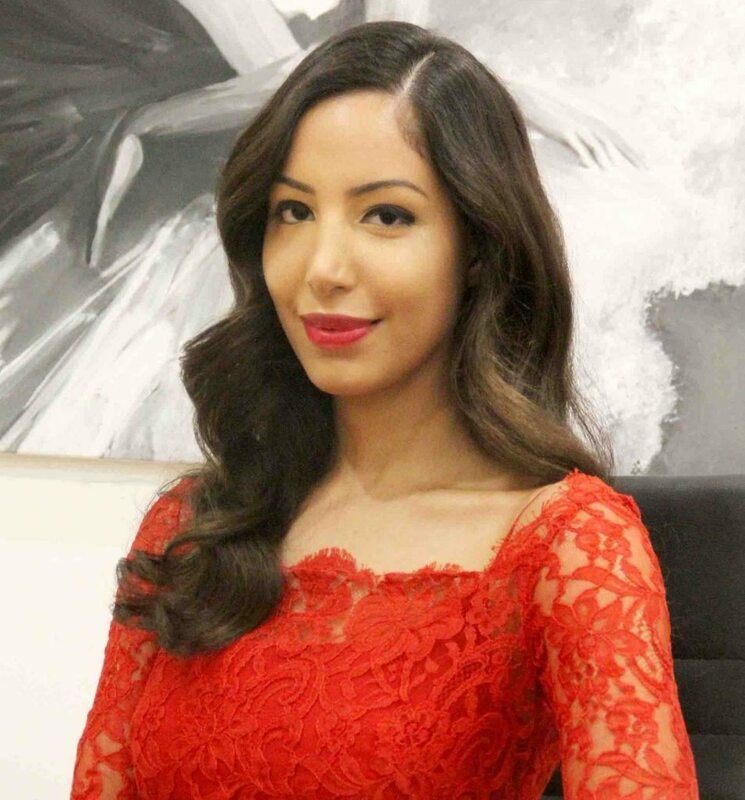 I am currently working on franchising in Dubai, and depending on the market, we look forward to broadening our horizons,” says Hala. “We have our annual flagship dance event scheduled on May 1st and 2nd. This year’s themed production Cirque, provides our students with a fantastic platform to showcase their talents. The story line goes through the journey of a little girl who gets enthralled by the magical world of the circus. This show is inspired by various Cirque du Soleil shows and the classic story of Alice in Wonderland,” she reveals. “If you have a passion; live it. Life is too short not to wake up every day and be happy about what you are doing. And if you get to share your passion with others around you, it just gets better,” Hala signs off.